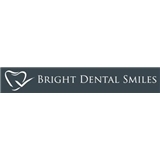 Bright Dental Smiles (Villa Park) - Book Appointment Online! At Bright Dental Smiles Dr. Jaspreet Dhingra-Bajaj provides family friendly, high quality dentistry in Villa Park. Dental services offered by Dr. Bajaj include general dentistry, cosmetic dentistry, and dental implants in Villa Park. Our friendly, experienced dental team is dedicated to providing each and every patient with the individualized attention they deserve. Dr. Dhingra-Bajaj and her hygienist were exactly as advertised here on Zocdoc. Gentle, clear about the procedure, and always concerned with my comfort. I felt like I had their undivided attention. I’m not thrilled about the news about these darn cavities, but I’m confident that when I come back tomorrow to have them filled, I’ll be treated with the same care.